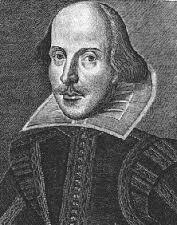 April 23 this year marks the 400th anniversary of the death of William Shakespeare, it also marks the 452nd anniversary of the bard’s birth. Dylan Thomas’ love of Shakespeare began from a young age, and continued throughout his life. Dylan’s mother Florence’s recollections of her son’s childhood show the influence of Shakespeare’s words from the beginning, and this is reinforced by other stories of him quoting from Richard II while at Mrs Hole’s Dame School in Mirador Crescent. Both Dylan and his father are remembered for their readings of Shakespeare at Swansea Grammar School. Dylan’s friend Trevor Hughes said of Dylan: ‘He used to recite Shakespeare to the class, and he’d walk up and down the room reciting. You could tell he wasn’t there – he was on a stage somewhere. And he put so much feeling, so much expression into it’. ‘The day after that Dyall & I took part in ‘Richard the Third’ on the Overseas Services of the BBC. Eastern & Overseas Services I now do quite a lot of work for: scripting, acting & reading. They do a potted Shakespeare play a week. Last week it was Titus Andronicus, which I’d never read and probably never will read again, – but it was great fun to do….. And for the Shakespeare series I mentioned, I’m arranging the programme on ‘Merchant of Venice’. Dylan’s love of Shakespeare and acting abilities were combined during his second north American lecture tour, when he performed extracts from King Lear at the Museum of Modern Art in February 1952, noting very self-deprecatingly: ‘and a fine King Lear I’ll look in my little shiny suit’. 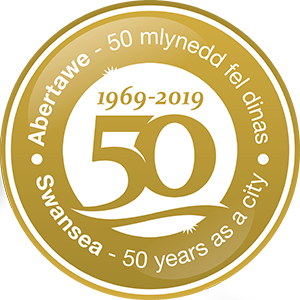 Fluellen Theatre Company’s series of events at the Dylan Thomas Centre and Swansea Grand Theatre this year will celebrate Shakespeare and his influence, with their first performance, ‘The Soul of the Age’, at the Centre taking place on April 23rd itself.